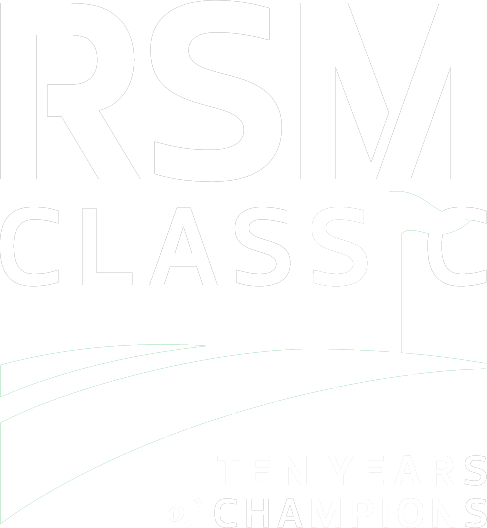 Each year during the run-up to The RSM Classic, RSM partners, principals and employees raise funds for local charities aligned with the missions of the RSM US Foundation and the Davis Love Foundation. In 2018, the program raised more than $2.8 million for more than 70 charities in the communities where RSM employees live and work. 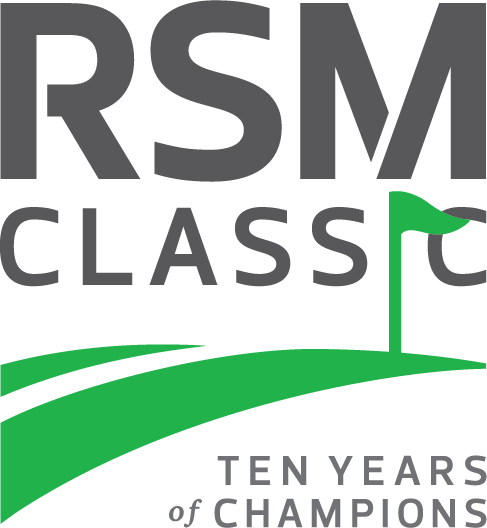 The strong fundraising through Birdies Fore Love, coupled with matching contributions from the RSM US Foundation and proceeds from the tournament, has brought the program total to more than $12.5 million donated over the eight years of the tournament. In collaboration with the PGA TOUR, RSM Birdies Fore Love will donate $500,000 to charitable organizations through an on-course competition over the first eight events of the 2018-19 PGA TOUR Season. 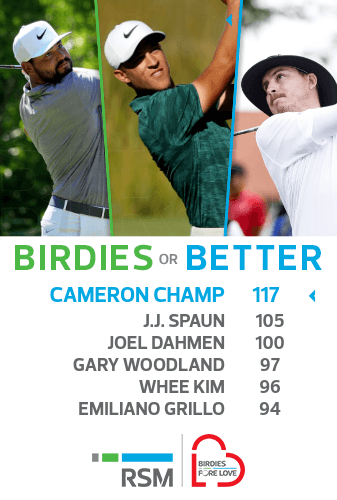 The top three players who accumulate the most birdies (or better), will earn $300,000, $150,000 and $50,000, respectively, for children- or family-focused charitable organizations of each player’s choice. Competition begins with the Safeway Open in Napa, California, and concludes with The RSM Classic in Sea Island, Georgia. If you’d like to help at-risk youth in the areas of education, hunger, housing or health, please consider donating to Birdies Fore Love.